I just got some great photos of the Easyboot Epic being use in some nasty snow and icy conditions. 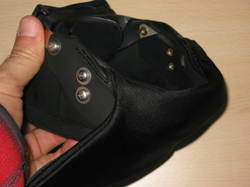 The boots are fitted with four studs. 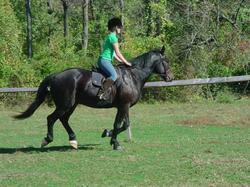 Dana Johnsen from Nickers Saddlery sent in the photos. Dana is a long time boot user and is responsible for the idea behind the gaiter system on all EasyCare products. She also makes a very nice saddle. 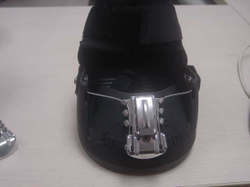 EasyCare hoof boots can quickly be fitted with ice studs and allow horses to travel in some slippery winter conditions. 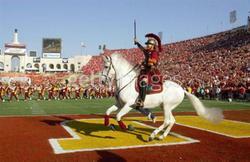 The video below show the horse walking up a nice grade that is covered in ice. 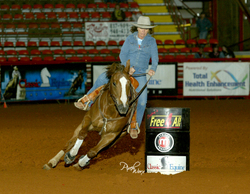 Check out this picture of Liz Holder at the Win$More Barrel Race. Imagine the torque and stress put on hoof boots in these type of events. Another great accomplishment for Easyboot Epics. Be sure to check out the May issue of Horse and Rider magazine. 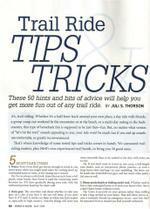 Juli S. Thorson gives some great advice in "Trail Ride Tips & Tricks". This article is filled with ideas to get you ready to hit the trail, from must take items like water to keep you hydrated to save the day items like a flash light. Chances are you have a lot of these items already. Juli says your ride won't be much fun if you end up unsafe, uncomfortable, or greatly inconvenienced. 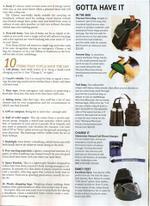 You'll also find that Easyboot Epics are part of the "Gotta Have It" section of the article. They are certainly great to have for protection on the trail! 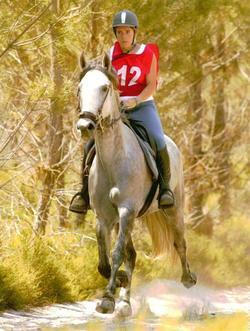 Epics are light weight and popular with endurance riders and recreational riders alike. It's sure to become a must have item on your riding check list if it's not already! Be prepared for your next ride. Pick up a copy of Horse and Rider's May issue to read the full article. Easyboot Epics Can Now Be Used in CTR Competitions! 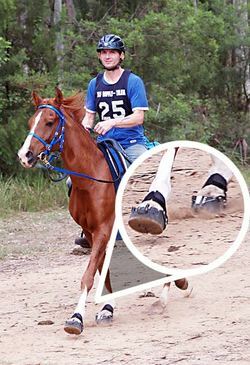 Until recently, riders who rode horses in CTR rides wearing hoof boots with Gaiters were automatically given a 10 point penalty. Team Easyboot member Lysane Cree of Canada has experienced this first hand. She and a friend submitted a resolution to change the penalty points assessed for use of a Gaiter on Easyboots. Having such a penalty made it very hard to stay in the running in competitive trail competitions. She happily reported that yesterday the penalty was lessoned to only 1/2 a point per boot! Click here to read more. We have made some improvements to the EasyUp Buckle. 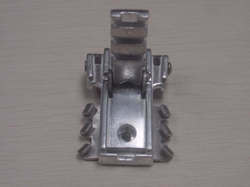 The buckle base and buckle are now made of a stronger aluminum. 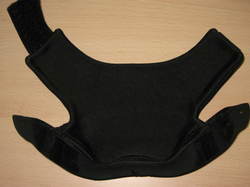 In the past the buckle base was made of nylon. The buckle will be out for testing in the next couple weeks. I believe the updates will outperform the old version and we will quickly move to the new design. 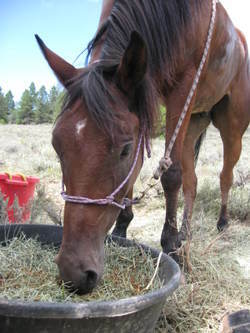 Photographer Wayne Trombley submitted this cute photo for Natural Horse Magazine's October photography contest. He was one of the winners in the category of "cooperation." Wayne won a pair of Easyboot Epics. Congratulations Wayne! Enjoy the Epics! This photo shows our young Paso Fino colt, "Estevan" being given a ride back to our barn after a hard day playing with his best friend, our three year-old donkey jack "Antonio". Estevan was tired out and needed a little help getting back to the barn! Estevan had been weaned shortly before this picture was taken and his buddy Antonio would play with him all day long, making the separation from the mare easier for the young colt. 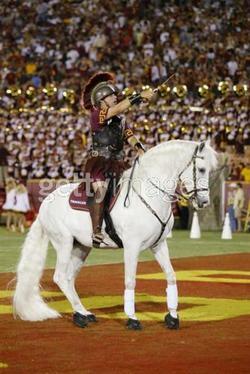 It's been several years since I've done an endurance ride. It hasn't been from lack of interest but from lack of time. There are just so many things to do and so little time. 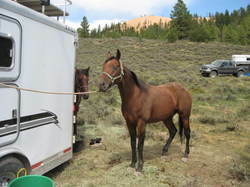 I decided to take a couple horses to this years Bryce Canyon XP and do days 2 and 3. When I arrived at the event I lucked into a spot next to Karen Chaton and Dave Rabe. 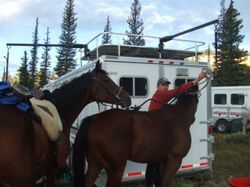 Dave and Karen are two of the best riders in the sport and are well liked and respected by just about every endurance rider out there. It was fun just walking around Karen's camp site and looking at her set up. Everything was well organized and in it's place. After looking at Karen's campsite and gear it's easy to see why Karen has been so successful in the sport. 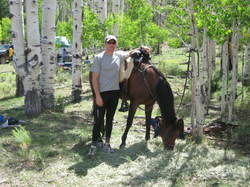 On day 2 I rode Spyder who finished his first endurance ride ever. 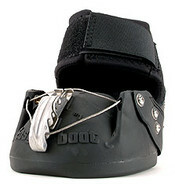 I fitted Spyder with Easyboots all the way around as I was testing a new cast buckle material. Both the buckles and Spyder held up great. We finished somewhere around middle of the 75 horses that started. Pictured below, Spyder lost his left eye when he was young but really handles himself well despite the loss. On day 3 I rode Cyclone. Cyclone was fitted with Easyboot Epics in the front and Easyboot Bares in the back. I was testing some new gaiter designs on both the Epics and Bares. I didn't wrap the pasterns as I wanted to see exactly how they would wear and fit the horse. The new gaiters have been working well on conditioning rides but I wanted to really test them during an event. We got a late start in the morning but slowly worked our way into the top ten by the lunch vet stop. I did a bunch of running on the downhills and tried to really take care of him in the rocky areas. 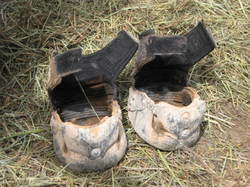 When we finished I was very excited to see the condition of the boots and new gaiters. Even better was the condition of Cyclone, Cyclone's feet and Cyclone's pasterns. His legs were cool, no swelling and not a single blemish from the test gaiters. He looked absolutely great, like he hadn't done a thing. I removed all 4 boots and took him to the BC judging barefoot. 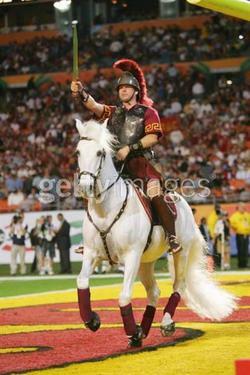 He was the only horse to show barefoot and looked exceptional. I was super proud of Cyclone and the ability to get through such a rocky event in boots. On the way home from the event I found out that Cyclone won Best Condition! 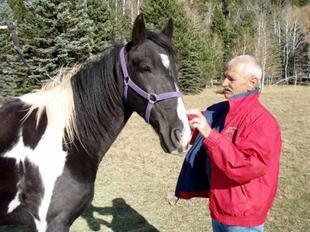 I have been doing a bunch of riding with a new EasyCare hoof boot concept on my horses left side and a couple non EasyCare hoof boots on the right side of my horse. I try to ride in and study the other hoof boots on the market to see what we can do better and get ideas for EasyCare products. One of the boots that I have been putting miles on has some neat design features but also has some major drawbacks. On a recent ride after a couple water crossings I lost both boots. One boot was gone and the other boot came up my horses leg and was aggressively attached around the pastern. It took a great deal of strength and force to get the boot removed. My horse was not happy. The EasyCare concept boots were still in place. In addition to a totally new concept we are also testing a couple changes to the Epic. 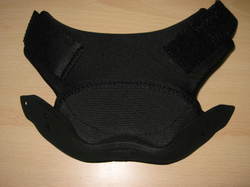 We are working on a new rear gaiter design and also an improved buckle. Both changes look very promising. 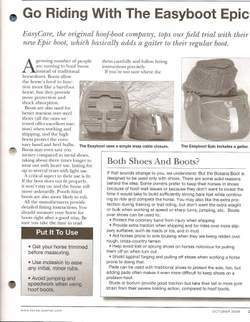 The Horse Journal rated the Easyboot Epic #1, last October, after an independent study on hoof boots. After using the majority of the hoof boots on the market this did not come as a surprise to me. The Epic is a great riding boot, stays in place and performs very well over long and difficult terrain. 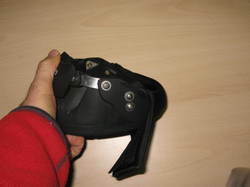 The majority of the 124 riders in the 2007 EasyCare Hoof Boot Contest are using the Easyboot Epic. 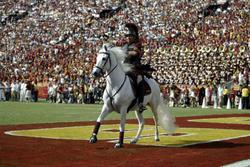 In the first 5 months of 2007 the riders in the contest have logged over 8,400 miles! Although the Epic is currently the long distance boot of choice, I believe that will all change when our new hoof boots hits the market. 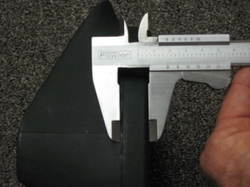 I can't wait to see how the Horse Journal and the EasyCare Hoof Boot Contest riders like the new design. Duncan McLaughlin and Rachel Reid finish first and second at the "The Rock" hundred miler. These were taken out on the final leg. Shar wore four Easyboot Bares the entire ride. 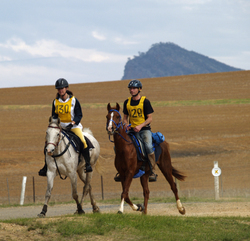 Ginge wore two Easyboot Epics for the entire ride, four boots for the first 125km. 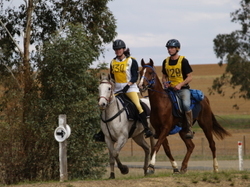 Duncan and Rachel crossed the line together as =1st place in a time of 10 hrs 33 mins. Ginge took out the Fittest Horse award. This was Rachel's first hundred miler - not a bad result for a first attempt.